Read our Fishing Report, updated every day. Find a fly fishing guide in our area. If you see something you are interested in, click on the slide. Mouse over the slide to pause, remove your cursor and the slide show will continue. Flow: 377 Cubic Feet Per Sec. Townsend and the Smoky Mountains are getting drenched. Heavy rain, thunderstorms and strong winds will continue today and possibly tonight. The streams are rising quickly. Unless this storm moves to our east, the rivers could be blown out today. This is not a good morning to be fishing in the Smokies. Read Our Daily Fishing Report. Please sign up to receive our newsletters. Learn about the latest fly fishing gear and fishing conditions in the Great Smoky Mountains. We do not share your e-mail address with anyone. A Fly Shop, Fly Fishing School, Mail Order Company and a reliable source of information about fly fishing in East Tennessee, Western North Carolina and the Great Smoky Mountains. Little River Outfitters has been serving fly fishing anglers since 1994. We are the "home fly shop" to thousands of fishermen who live in our region or visit Townsend, Tennessee and the Great Smoky Mountains. Additionally, our mail order service caters to anglers all over America and foreign countries. Nestled in the foothills of Great Smoky Mountains National Park in Townsend, Tennessee, Little River Outfitters is a family owned fly shop and school that has become well known in the fly fishing world. Townsend is a small resort town, known as the Peaceful Side of the Smokies. Townsend is one of the four main entrances to Great Smoky Mountains National Park and Cades Cove. We have a few motels, campgrounds, lodges, bed and breakfasts and rental cabins. Here, we are blessed with several thousand miles of rivers and streams and hundreds of thousands of acres of public land set aside as National Forests and a National Park. This region is a fly fishing paradise. There are over 800 miles of fishable trout streams in Great Smoky Mountains National Park alone. The Park, 500,000 acres in total, lies in both Tennessee and North Carolina. Here you will find mountain streams with populations of rainbow trout, brook trout and brown trout. Just outside the Park in the rivers exiting the Smokies you will also experience excellent smallmouth bass fishing. There is no stocking of trout in the Park and you will find only wild rainbow, brown and brook trout throughout the watersheds within. Additionally, the Tennessee River watershed provides lakes, tailwaters, freestone mountain streams and lowland rivers with some of the finest fly fishing for brook trout, brown trout, rainbow trout, smallmouth bass, largemouth bass, stripers and panfish found anywhere. It is our job and passion to help you in any way to enjoy this huge resource that is available to the fly fisherman. There are many fly fishing opportunities to choose from. Townsend, Tennessee is the perfect base camp for your fly fishing vacation. And we are here for you. We decided in the mid 1990’s to start teaching fly fishing and fly tying. In those days fly fishing education options were limited. At that time we were located in another building so we rented some space next door and built a classroom. When we built our own building we included a classroom in it as well. Several of us attended the Joan Wulff Fly Fishing Instructors School in New York. That got us started with the beginner fly fishing classes. To this day we still offer classes two weekends each month from March through October except during the month of August. We also offer private instruction to beginners. Both include classroom sessions, time on the casting lawn and on stream instruction. We have added more classes including our very popular Nymphing Tactics and our Free Beginner 101 Fly Fishing Class. We saw a need and developed a fly tying curriculum consisting of three levels, Beginner, Intermediate and Advanced. We designed and printed our own books that guide the students through each step of the fly tying process. These classes are held from November through February on Saturdays. Each class lasts a full day. Dr. Brad Cook, professor of biology and Tennessee Technological Institute is a aquatic entomology expert and avid fly fisherman. Several years ago, Brad started teaching an Aquatic Entomology For Anglers class at our school. It was a huge success. If you want to learn more about fly fishing, aquatic entomology or tying flies, Little River Outfitters is a good place to begin your journey. Learn More about our School and Classes by CLICKING HERE. We ship fly fishing tackle orders to customers every day. We also do something different. We do not charge for ground shipping. There are no spending limits or other strings attached. If we can get what you want to you in a truck, we don’t charge. We bought the land and built our store right next to the U.S. Post office in Townsend, with that in mind. If we don’t have something in stock, we can often have our manufacturers ship directly to you, saving you time and saving us money. We do charge the actual cost for expedited service and to customers outside the contiguous United States. We do not charge sales tax for orders shipped outside Tennessee. You may call us at 865-448-9459, between 9 am and 5 pm, 7 days we week to order. Or, visit our online store by CLICKING HERE. We have one of the largest fly tying departments you have seen. In fact, it takes up 700 square feet. It is located on the mezzanine upstairs, offering you a casual, browsing environment, just for those interested in this fantastic hobby. Most of us tie flies, so we can help you by answering questions and making purchasing decisions. 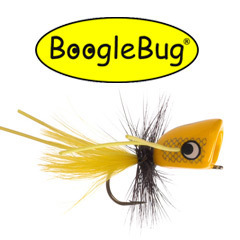 Our fly tying merchandise is not shown on our online store. There are so many items, and they change frequently. However, you can call the shop at 865-448-9459, describe what you are looking for, and we’ll do our best to fulfill your needs. 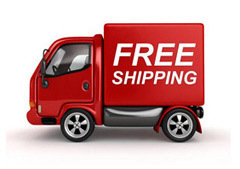 We do not charge for ground shipping and we are eager to help you. If we do not have exactly what you are hoping to find, we can probably order it for you. We buy from most of the largest suppliers in the world. We only sell fly fishing tackle from many of the finest brands available in all price ranges. We stock and sell merchandise from manufacturers such as: Orvis, Chota, Simms, Sage, Ross, Waterworks/Lamson, Temple Fork, Fishpond, Rio, Scientific Anglers and other companies. We sell gift cards over the phone, online or at the shop. They can be redeemed the same way. Little River Outfitters is owned by Paula & Byron Begley and Daniel Drake. The 7,000 square foot store is stocked with almost everything a fly fisherman or fly tyer could want. We are open 7 days a week, except four National holidays. We are a small family owned business. There are currently a total of 12 people working at Little River Outfitters, either in the shop, as instructors, or both. COPYRIGHT 2006 - 2016 LITTLE RIVER OUTFITTERS, INC.